This Certificate Course, offered by 361 Degree Minds, educates about various principles and theories involved in using Servlets. We offer a unique combination of research-led futuristic pedagogy and globally bench-marked content. Our modules are backed by extensive research which has made our education system both appropriate and exciting for our learners. This course is brought to you by our well-experienced faculty who have been involved in managing high-end technical teams of various large corporate companies. Learning this particular technology from them will give you a fresh outlook and also help you develop the skill much faster. 361DM is a research led EduTech Company that offers learning solutions in higher education to individuals, corporate, universities and colleges. With a unique blend of research led futuristic pedagogy, a robust platform, and globally benchmarked content, 361DM offers programs in diverse areas of professional development, skilling, health care, organization development and higher education. This course prepares students to meet the vast requirements of professionals having suitable qualification as well as exposure in using Servlets. You will master the technology and be ready to take up any assignment using Servlets. 361DM is a research led EduTech Company that offers learning solutions in higher education to individuals, corporate, universities and colleges. We couple our IPs in the area of adult and remote learning with their technology platform (i-meta) to offer engaging and effective learning solutions. We offer programs in diverse areas of professional development, skilling, health care, organization development and higher education. 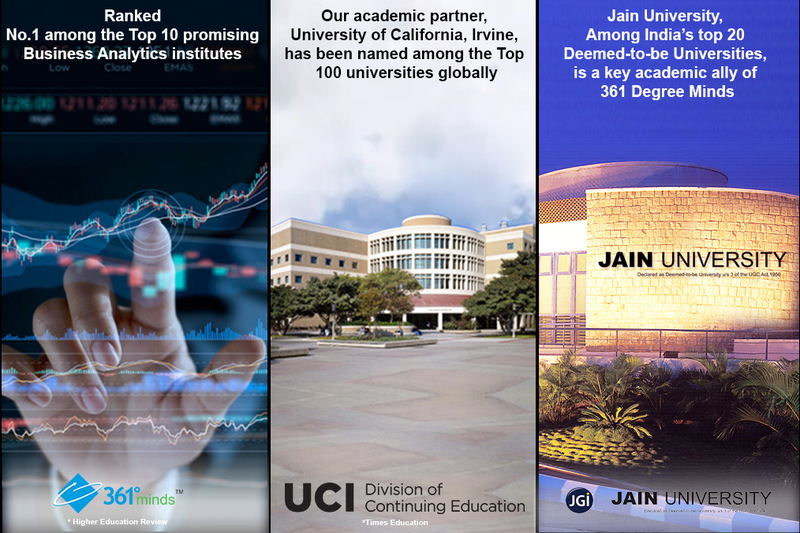 We have content and certification alliances from across the world with universities, research organizations, B Schools and education companies. We offer a unique combination of research led futuristic pedagogy, a robust platform and globally benchmarked content. Faculties are very energetic and enthusiastic which makes the sessions lively and interesting. Excellently designed program for working professionals !! !